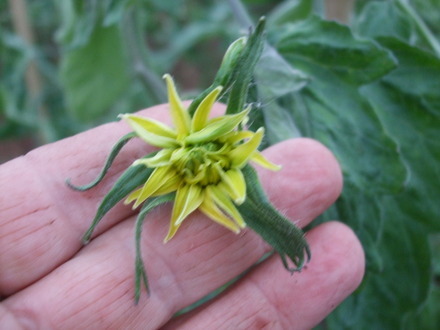 i’m amazed at the different flowers on our tomatoe plants. purple russian such a pretty flower. will produce purple plum shaped fruit. this ones hillbilly potatoe leaf…big orange fruits. 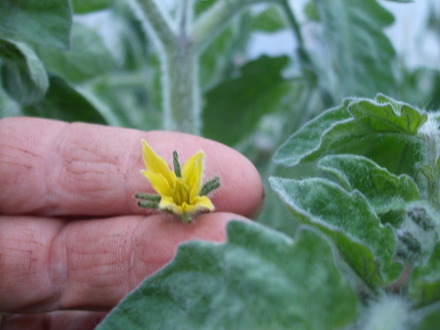 this is ildi small yellow tomatoes but hundreds and hundreds and so sweet. micro tom… tis is one for a small pot on a window. produces grape size tomatoes but lots of them. then there good old shirley i am enjoying all the unusual varieties but i like the solidness of the shirley. 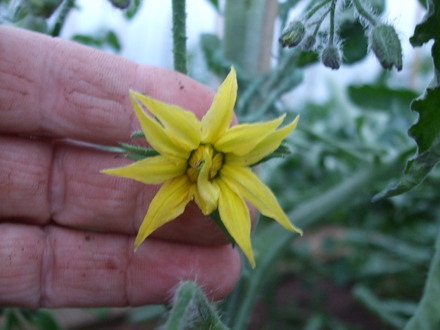 hope you like the guided tour of our tomatoes. we have a small holding and hope to sell the fruit a t the local farmers market. its a new venture this year. 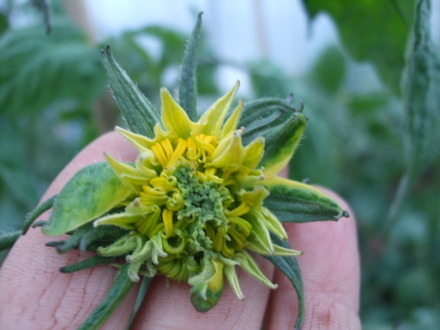 we have gown a few before but this year we are hoping to sell the fruit at the farmers market...im amazed at the flowers. wonderful flowers don't you love all things tomatoes, you are lucky having a small holding, i have a small back garden but it produces enough for me and my husband, i am growing gardeners delight, black cherry, white currant, bejbino,garden pearl, orange banana, purple russian and sub-artic plenty. 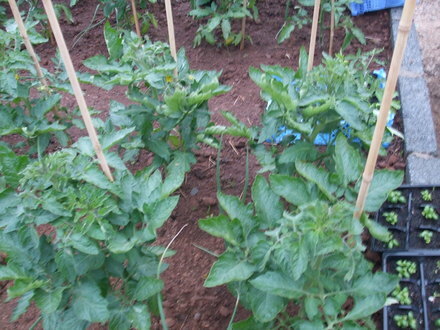 i hope for a good crop as they will all be grown in containers as i have got blight in the soil. wow, I love tomatoesespecially the ones small enough to pop in whole. Lemondog i was tempted by the orange banana they sounded interesting. have u grown them before? where did u get your seed? we used seeds of distinction. 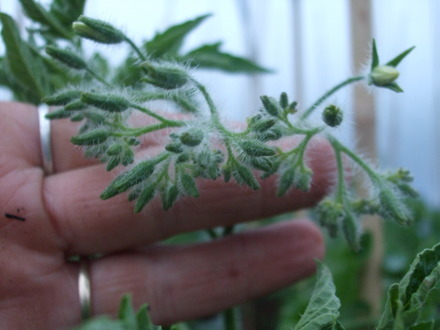 I have just "dropped" on this tomato blog. 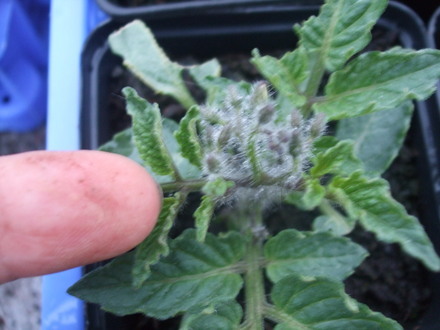 My tomatos have not got any flowers at all yet.You are using some different varieties too. 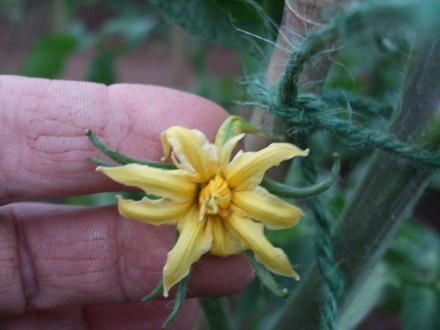 I am only growing two this year, a T. & M. cheriola cherry tomato and a yellow tomato vine variety. 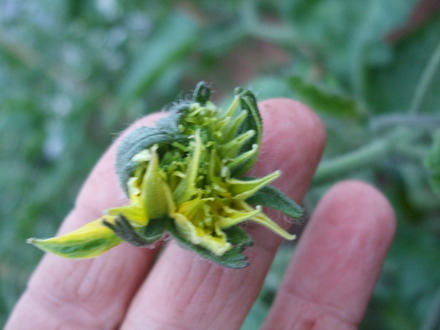 i'm loveing the flowers and now the frruit is starting to set. but we started them off early in heat to try and get a head start.